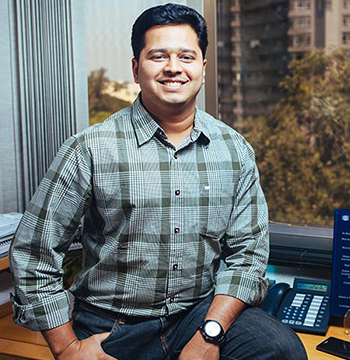 Sudhir is Founder & Chairman of Chiratae Ventures India Advisors. Chiratae Ventures (formerly IDG Ventures India) is a leading VC firm advising AUM of $ 470 M based out of Bangalore, India, with offices in Mumbai and New Delhi. 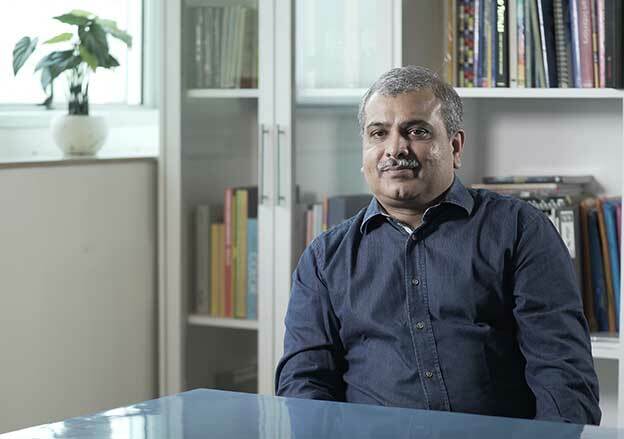 Since 1998 Sudhir and his team have advised on investments into 80+ firms across Digital Consumer, Enterprise Software, Fintech and Healthcare Sectors. Key investments include Flipkart, FirstCry, Lenskart, Policy Bazaar, Curefit, Manthan, Newgen, Nestaway, Agrostar, Yatra, Xpressbees and Mindtree Consulting amongst others. 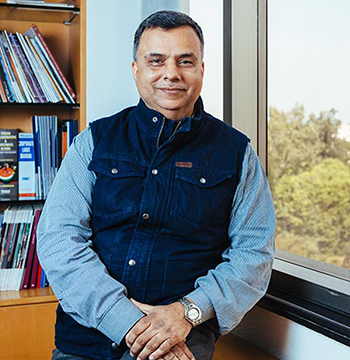 In 2001, Sudhir was recognized by Red Herring as one of the leading venture capitalists in the country. He has been named among the Top Ten IT Professionals by Dataquest and by Bloomberg UTV as ‘’Visionary Venture Capitalist” in 2011. Sudhir has been featured in Subroto Bagchi’s book ‘’Zen Garden – Conversations with Pathmakers’’, in 2014. 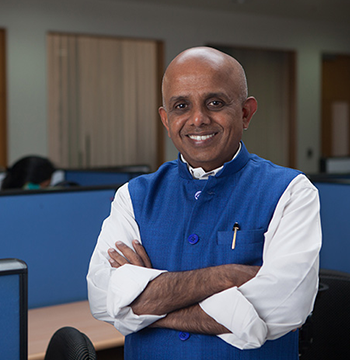 In addition to leading Chiratae Ventures India Advisors, Sudhir has served on EMPEA Venture Capital Council (Emerging Markets Private Equity Association). 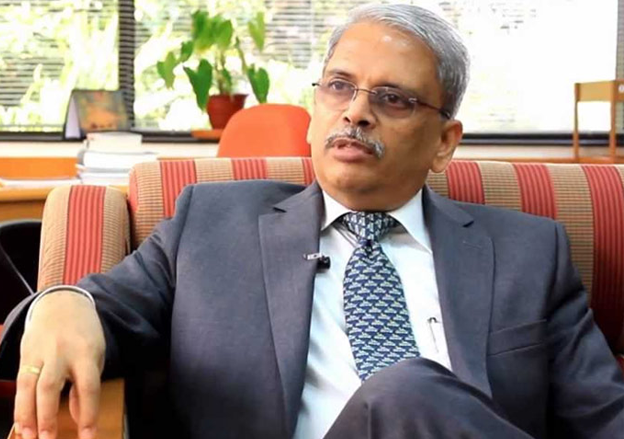 He has served as Advisor on the Technology Innovation and Productivity Council of the GMR Group. He also served on the Executive Committee of Indian Venture Capital Association (IVCA), Investment Committee of UTI Ventures, on the Board of Ascent Capital and on the Board of Advisors at N.S. Raghavan Centre for Entrepreneurship, IIM Bangalore. With over 30 years of experience Sudhir has served at various leadership positions at HCL, Wipro and Cyient, as well as Country Head of Walden International India. Sudhir holds a B.Tech in Engineering and an MBA Degree from FMS, Delhi. His interests include wild life photography. Mr. TC Meenakshi Sundaram (TCM) is Founder & Managing Director of Chiratae Ventures India Advisors. He has over 35 years of industry experience, including 15 years of venture experience. Prior to Chiratae Ventures, TCM served as Chief Financial Officer and President – Corporate Services at Venture Infotek, a leading payments processing company in India. Prior to Walden International, TCM has worked for 14 years at Wipro where he last served as General Manager – eCommerce Division. Karthik Prabhakar is Executive Director and Global Head of Fundraising at Chiratae Ventures India Advisors. Karthik has led investment advisory in Consumer media & tech and Fin-tech sectors apart from the additional responsibility of overseeing marketing for the firm. He has been part of the Indian tech ecosystem since 2005 with experience spanning engineering, rapid prototyping, marketing, fundraising, investment advisory and portfolio management. Karthik was an active part of the team advising on the exit from investment in Manthan Systems. In 2018, Karthik was recognized as one among the 40 Under 40 in the alternative investments space in India by AAAIF. For three consecutive years from 2016 to 2018, Karthik was recognized as one among the global top 100 Rising Stars in the venture industry by Global Corporate Venturing, held in California, US. 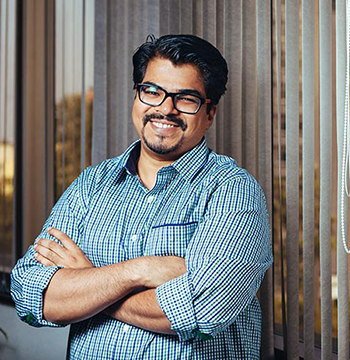 Prior to Chiratae Ventures, Karthik worked with Intel in their Ideas to Reality team, a technology incubator focused on building IoT products around the Intel Atom processor. As a tech marketing person, he played a key role in rapid prototyping, conceptualizing field trial plans and creating Go-To-Market strategies for new products ideas around retail, digital advertising and video surveillance. Karthik was also actively involved in recruiting and mentoring new members for the group. Prior to that, he worked in the embedded systems team building security software for network processors. Karthik, in spare part time, worked on developing innovative IoT/embedded solutions and has co-authored a patent in the area of Wireless Networks. Karthik holds a Bachelors degree in Information Science from RV College of Engineering and an MBA (PGDM) from IIM Bangalore. Mr. Karan Mohla is Executive Director and Head of Consumer Media & Technology sector at Chiratae Ventures India Advisors where he heads the sector focus and strategy on Consumer Media & Technology investments. He has been investing in Indian companies since 2009 and has over 15 years of experience in the technology industry across India and the US. Prior to Chiratae Ventures, Karan worked with QVT Finance LP, a US based hedge fund and was a founding member of their Asia-Pacific practice. He earlier worked in the technology banking group at Jefferies & Company (formerly Broadview International) in Silicon Valley, where he advised several technology companies in Internet, Mobile and Enterprise Software on capital raising, M&A as well as strategic partnerships. 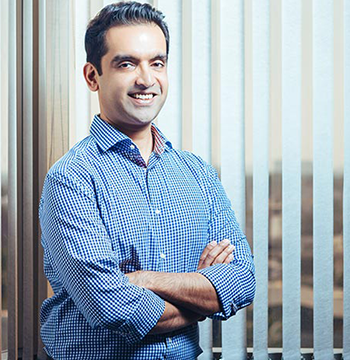 Later, Karan helped start the India office for Jefferies where he advised and executed financing strategies for companies in the Technology, Media, Telecom, CleanTech and Education sectors. He has successfully completed over 20 transactions covering M&A and capital raising for corporates across India and the US. 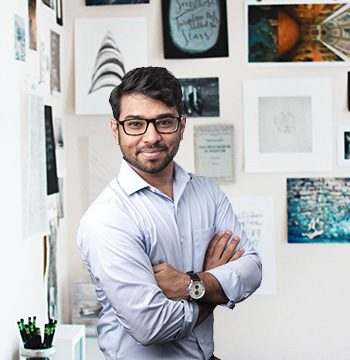 Karan holds a Bachelors degree in Business Administration (BBA) from the Ross School of Business, University of Michigan, Ann Arbor and an EMBA from INSEAD, where he was the youngest graduate in the program’s history. Mr. Venkatesh Peddi is Executive Director at Chiratae Ventures India Advisors. He has over 17 years of industry experience, including 11 years of venture experience. Prior to Chiratae Ventures, Venkatesh was Deputy Vice President at Reliance Venture Asset Management – the corporate venture capital arm of Reliance ADA Group. He was involved in executing multiple end-to-end investments and was a board member at Gradatim IT Ventures and a board observer at Suvidhaa Infoserve and Pelago Inc. Venkatesh was earlier an Account Manager in Investment Banking division of Adventity, a leading KPO player, where he advised deal teams of leading investment banks at various deal stages. He later moved to Adventity Inc., New York, to take up roles involving close client interaction, while being promoted on a fast track basis from an Analyst to Manager within 10 months. Prior to Adventity, as Assistant Manager at Blue Star Infotech, Venkatesh helped in structuring deals and M&A. Venkatesh is an active CFA charterholder from the CFA institute, USA and holds a Bachelors degree in engineering from VJTI, Mumbai and a Masters degree in Management Studies from Jamnalal Bajaj Institute of Management Studies (JBIMS). Mr. Ranjith Menon is Executive Director at Chiratae Ventures India Advisors. He has been in the industry since 2000 and in the venture investment advisory since 2007. Prior to Chiratae Ventures, Ranjith worked with Cyient (earlier Infotech Enterprises), India’s premier Design Engineering and GIS Company. 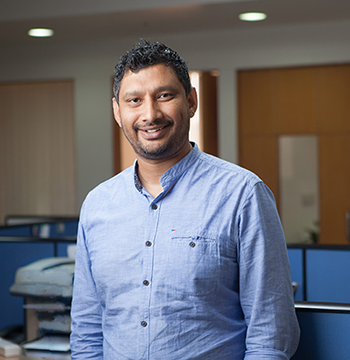 As Manager-Marketing he played a key role in conceptualizing and launching new service offerings for the Aerospace vertical, which is one of the largest offshore Aerospace practices out of India. Earlier in his career, Ranjith has served as a stress test engineer at Infotech Enterprises and also gained shop floor experience at Bharat Earth Movers Limited, India’s largest earth moving equipment manufacturers. Ranjith is a Charter Member of The Indus Entrepreneurs (TiE). He holds a Bachelors degree in Mechanical Engineering from Bangalore University and an MBA from the Great Lakes Institute of Management, Chennai. Priyanka is a part of the investment team at Chiratae Ventures India, where she focuses on Investor Relations in addition to evaluating investments in Consumer Internet, Health-Tech, Fin-Tech and Enterprise SaaS. Prior to joining Chiratae, she worked across banking and with a fin-tech startup – Royal Bank of Scotland and FreeCharge (part of the Snapdeal group). At FreeCharge she supported the Chief Business Officer in defining overall strategy, and handled key partnerships and associated marketing campaigns. In banking, has experience working on a markets trading floor, managing large multinationals – working closely with their CFO offices – as part of the Corporate Sales team at the Royal Bank of Scotland. She holds an MBA from IIM Ahmedabad and a degree in Information Science from Bangalore University. Kriti is a part of the investment team at Chiratae Ventures India, where she focuses on investments in IoT, Frontier Tech, Fin-Tech, Health Tech and Enterprise SaaS. 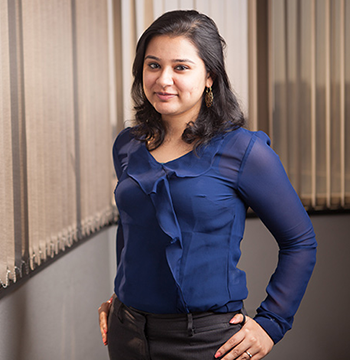 She also supports portfolio, works on building investment thesis and identifying opportunities across verticals. Prior to joining Chiratae, she was a part of the Trading team at Deutsche Bank, where she was responsible for building and maintaining Foreign exchange and Rates portfolio for her Japanese clients and for the expansion in Singapore markets. She also co-founded Aahaar, a smart cold supply chain solution for agricultural produce in college that was acclaimed by global platforms like Thought For Food and Kirchner Food Fellows. Kriti is a Tech enthusiast and was an active member of the Innovation Cell and Technical activities club at IIT Bombay having worked on award-winning projects which includes driver-less cars, drones and UAVs. Kriti graduated from Indian Institute of Technology, Bombay in 2015 with a B.Tech. in Chemical Engineering and a minor degree in Management. She is currently a CFA Level III candidate. Smeet is a member of the investment team at Chiratae Ventures India, where he focuses on evaluating early stage investments in scalable tech companies. He also supports the Chairman on the fund strategy and tracks Indian macro and private markets to help construct a broader investment thesis. Prior to joining Chiratae, he was a founder of Chymera VR — a virtual reality ad-tech startup based in San Francisco. As the CEO, he was responsible for sales relationships, business development and fundraising. He was instrumental in establishing partnerships with leading consumer brands like Hyundai, Samsung and Oculus (Facebook). He raised seed investment from senior executives at Airbnb and Google. Before Chymera, Smeet worked with Deutsche Bank as part of the Fixed Income risk trading desk. He built analytical models to evaluate and hedge credit and repudiation risk on the bank’s uncollateralized currencies and rates portfolio. He holds a B.Tech. degree in Civil Engineering from IIT Bombay, where he was also a member of the inter-collegiate Tennis and Quizzing teams. 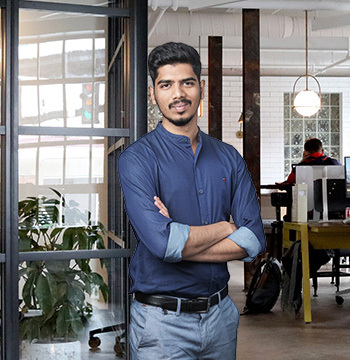 Ashwin is a part of the investment team at Chiratae Ventures India, where he focuses on investments in Consumer Internet, Enterprise Software, Deep-tech and Health-tech. He supports in building investment thesis, identifying investment opportunities across sectors and ecosystem outreach. Earlier, as part of the technology I-banking team at Grant Thornton, Ashwin advised several early-stage entrepreneurs across mobile, cybersecurity and SaaS, deep-tech and logistics, on fund-raising, M&A and growth strategy. He earlier, worked with pharmaceutical clients based out of the US in developing data driven products and solutions to improve their marketing RoI. 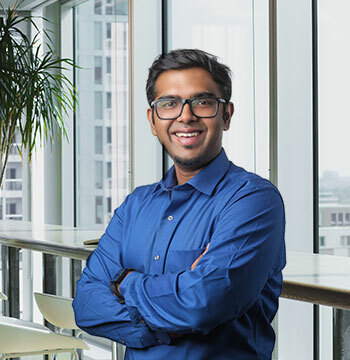 Prior to that, Ashwin had co-founded a consulting firm that provided customized advertising solutions to SMEs in tier-2/3 demographics to optimize branding budgets in reaching hyper-local audiences, where he led sales and strategy. Ashwin graduated from the Indian Institute of Technology (BHU), Varanasi in 2016 with a major in Chemical Engineering and a minor in Supply Chain Optimization and Development Economics. He was an active member of the Debate Society at IIT(BHU) and led the fund-raising activities for the Cultural Council, aside from pioneering the TEDxIITBHU conference. Nayrhit is a part of the investment team at Chiratae Ventures, where he focuses on early stage investments in Fin-Tech, Health-Tech, Enterprise SaaS and Consumer Media and Technology. Apart from identifying opportunities across sectors, he also supports in helping the portfolio companies grow and building investment thesis around sectors. Before joining Chiratae, he worked with American Express in the central strategy team focused on developing risk, underwriting and cross-sell strategies for global markets. He was awarded the prestigious CEO Award by Steve Squeri, Global CEO of American Express for his contributions. He also did internships across different sectors in organizations like Jefferies, Reliance and Ernst & Young. Nayrhit graduated from Indian Institute of Technology Kharagpur in 2016 with a Bachelors and Masters degree in Industrial & Systems engineering, where he also pursued research in areas related applications of Machine learning in Manufacturing and Healthcare. He led the college dramatics society and was recognized with Honourable Mention by the institute for his contributions to the dramatics. He is currently a CFA Level-III and FRM Level-II candidate. 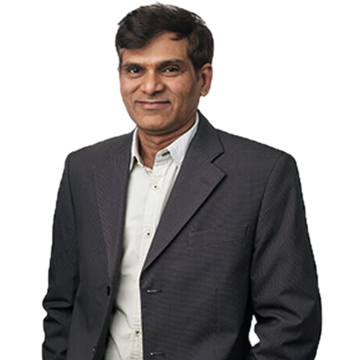 Kamlesh Patre is the CFO at Chiratae Ventures India Advisors. He is responsible for managing the fund accounting, investor reporting, structuring, taxation and compliance activities at Chiratae Venture India. In 2018, Kamlesh was recognized as one among the global top 100 Rising Stars in the venture industry by Global Corporate Venturing at an event held at California, US. Prior to Chiratae, Kamlesh worked with Headland Capital Partners (formerly HSBC Private Equity Asia) leading the finance activities for their India office. Kamlesh has over 9 years of experience in the PE/VC industry. 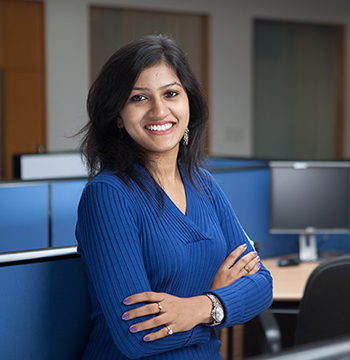 Gayatri is Manager – Legal at Chiratae Ventures India Advisors. Before joining Chiratae, she worked at leading corporate law firms in India. She started her career at Krishnamurthy & Co., and subsequently worked at Luthra & Luthra Law Offices and IndusLaw in Bangalore. During such time, she advised a variety of domestic and international clients on venture capital investments, mergers and acquisitions, structuring and exits. Gayatri is a B.A., LL.B (Hons.) graduate from the West Bengal National University of Juridical Sciences (NUJS). Raghu leads whole gamut of administrative areas ranging from travel, accommodation, vendor management, contract administration, inventory management, security and safety of assets and overall infrastructure management. He plans, organizes, and controls the work activities of the admin team members in order to provide prompt and efficient services and ensures 24/7 smooth operations and healthy functioning of the overall facilities. He also manages the complete arrangements for the annual events, conferences, seminars and other functions of the firm organized from time to time. Prior to joining Chiratae Ventures, Raghu has worked for CYIENT (Infotech Enterprises), Nagarjuna Fertilizers and Chemicals Ltd., SOL Pharmaceuticals Ltd., Hyderabad. With over 31 years of work experience, he comes with rich experience in Office Administration, Corporate Communications, Secretarial, Sales and Trading works. Raghu holds a Masters Degree in Commerce, Bachelors Degree in Law and MBA (HR) from IGNOU, New Delhi. Deepali is a part of the finance team at Chiratae Ventures India Advisors, where she manages the financial activities and focuses on all the statutory compliances, MIS and financial reporting of entities and manages audits and tax filings in Chiratae Ventures India. Prior to joining Chiratae, she was part of the KPMG Dubai, where she was responsible for providing financial services to clients in various industry segments. She has also worked with Mirabaud Group in Dubai providing advisory services to relationship managers and quarterly group reporting to Head office. Prior to that, she has worked in Delhi in Advisory firm where she helped the several entities to improve their financial health and plan their financial strategies. Deepali is a qualified chartered accountant and holds a bachelor degree in commerce from Delhi University. 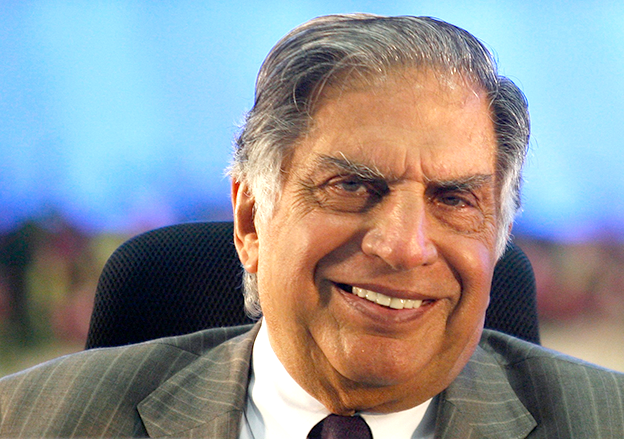 Ratan N Tata was the Chairman of Tata Sons, the holding company of the Tata group, from 1991 till his retirement on December 28, 2012. He was also chairman of the major Tata companies, including Tata Motors, Tata Steel, Tata Consultancy Services, Tata Power, Tata Global Beverages, Tata Chemicals, Indian Hotels and Tata Teleservices. During his tenure, the group’s revenues grew manifold, totalling over $100 billion in 2011-12. Recognized as a global business and technology thought leader, he was voted the top CEO (IT services category) in Institutional Investor’s inaugural ranking of Asia’s Top Executives. He was selected as one of the winners of the 2nd Asian Corporate Director Recognition Awards by Corporate Governance Asia in 2011. Kris was also selected to Thinkers 50, an elite list of global business thinkers, in 2009. He was elected President of India’s apex industry chamber, the Confederation of Indian Industry (CII) for 2013 – 14, and served as one of the co-chairs of the World Economic Forum in Davos in January 2014. 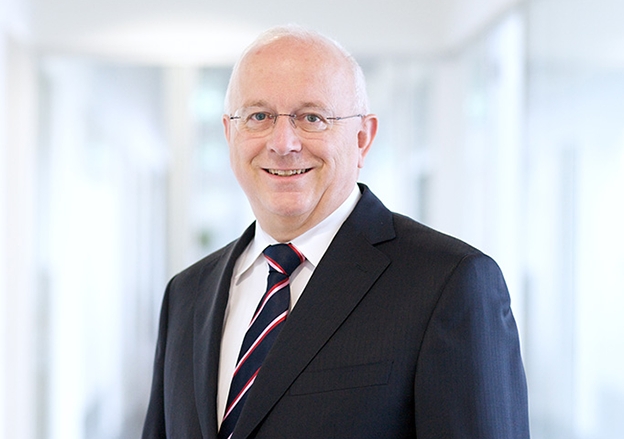 Mr. Bruno E. Raschle is the Founder, Managing Director, and Non-Executive Vice Chairman of Schroder Adveq. He served as an Executive Chairman. He previously served as the Chief Executive Officer and founded the firm in 1997. Mr. Raschle served as the Founder and Managing Director at the MC Partners fund of funds investment programs at Motor Columbus. His operational experience includes the management of start-up, turn-around, and expansion opportunities in various industries on different continents. From 1994 to 1997, he was the General Manager of the Fastening Division of the privately-held SFS Stadler Group, Heerbrugg, Switzerland, for three years. Mr. Raschle has also financed over a dozen start-up companies and served on several of their Board of Directors, including Ballard Power Systems. Mr. Raschle has over 15 years of experience in venture capital investing. He has completed the Advanced Management Program at Harvard University. Mr. Raschle holds an M.S. in Construction Engineering from the Swiss Federal Institute of Technology (ETH) and an M.S. in Industrial Engineering from Stanford University. Manish Choksi is a Non-Executive Vice Chairman of Asian Paints. He joined Asian Paints in 1992 and has held various posts across Sales, Engineering, Marketing in the Decorative and Industrial paint businesses and was till recently the Chief of Corporate Strategy &amp; CIO and was responsible for corporate planning and information technology. As Chief Information Officer, he has spearheaded the move to leverage new IT solutions across the Extended Enterprise for growth and achieving improved business performance. He is a member of the Executive Council of Asian Paints group. He has been a catalyst for the company’s foray into services such as painting / décor / home improvement solutions as well as new initiatives. In his current position he leads the company’s entry into the Home Improvement, supply chain for coatings and information technology.